These stars aren't afraid to make a statement on the red carpet! Awards season is about celebrating the biggest talents in film, television and music — but it’s also about fashion. The excitement begins on the red carpet hours before the winners are announced. There have been plenty of short hemlines, thigh splits and plunging necklines during the 2019 awards season, but many celebrities have also proven you don’t always have to flash the flesh to make a daring style statement. Love them or loathe them, these red carpet looks got everyone talking. When Shayk isn’t walking the runway for Versace, Intimissimi and Victoria’s Secret, she’s being a mom to her and Cooper’s 1-year-old daughter, Lea. Being pregnant didn’t keep Shayk off the runway. In fact, she debuted her baby bump at the Victoria’s Secret show back in November 2016. Reality star Kristin Cavallari may not have been up for a Golden Globe, but she could have won an award for the most daring dress in her sheer backless gown by Amen Couture, which she accessorized with Chopard jewels. Cavallari, who is mom to sons Camden and Jaxon and daughter Sayler with husband, NFL quarterback Jay Cutler, stars in her own reality show, “Very Cavallari.” However, she reportedly won’t be joining Spencer and Heidi Pratt, et al, for a reboot of “The Hills” set to air later this year. Jennifer Lopez isn’t afraid to experiment on the red carpet. The exotic green Versace silk chiffon dress she wore to the 42nd Grammy Awards ceremony in 2000 is still up there with the most iconic awards show looks of all time. For the 2019 Grammys, Lopez chose a white crystal-encrusted Ralph & Russo gown with a very large statement hat. This was a departure from her usual cut-out dresses and thigh splits, and it proved that with enough attitude, you can indeed get away with anything on the red carpet. Model and TV presenter Heidi Klum’s black strapless tulle Monique Lhuillier dress on the Golden Globes red carpet this year featured a plunging bodice and belted bow, and was embellished with colorful 3D flowers. 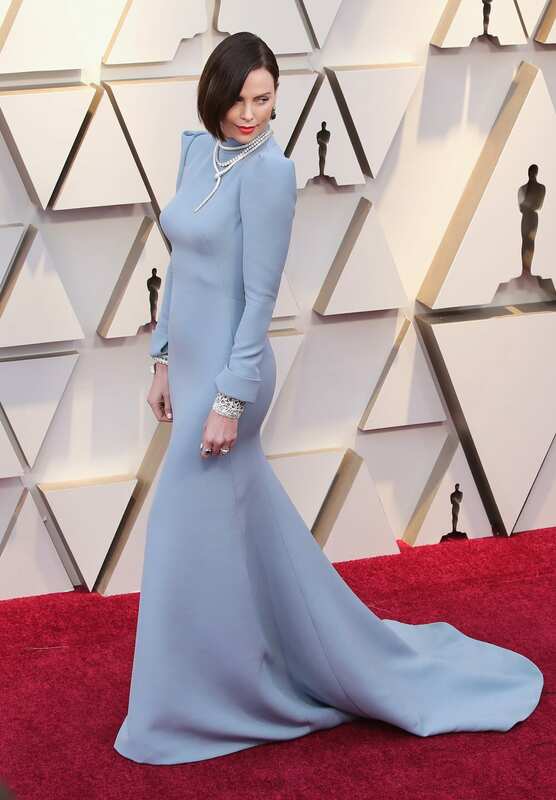 It divided opinion among critics and viewers, but proved, yet again, that Klum likes to push the envelope when she dresses for red carpet events. Klum, who recently left “America’s Got Talent” after six seasons as a judge, is engaged to Tokyo Hotel guitarist Tom Kaulitz, who accompanied her to the Golden Globes. Not many people could carry off a black and fuchsia off-the-shoulder ruffled gown, but British actress Gemma Chan turned heads (for the right reasons) in the Jason Wu design for the Critics’ Choice Awards. Chan accessorized with Anita Ko jewels and walked the blue carpet with her hands in her pockets, proving that even off-the-shoulder ruffled gowns can be practical. Chan’s star is on the rise after her role in the hit movie “Crazy Rich Asians,” which took home the Critics’ Choice award for Best Comedy. It wasn’t just the women who made a statement during awards season. 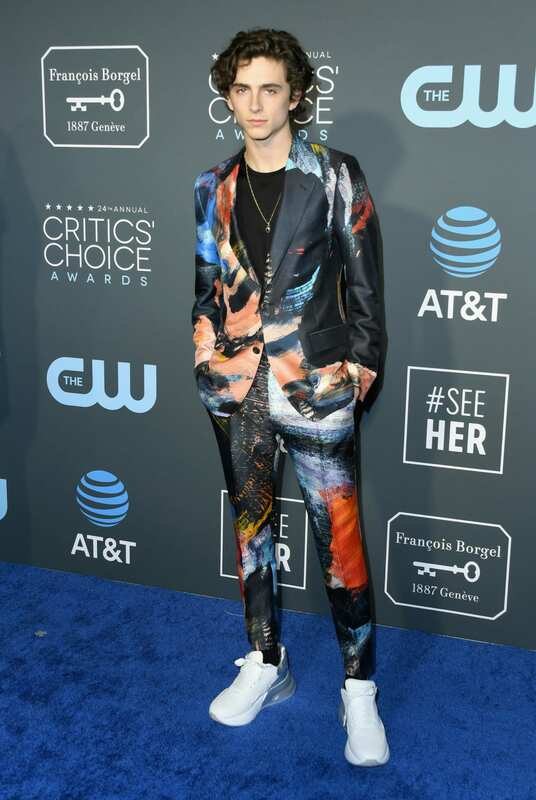 French-American actor Timotheé Chalamet, star of “Call Me By Your Name,” “Lady Bird” and “Beautiful Boy,” rocked the Critics’ Choice Awards — and continued his tradition of wearing zany ensembles on the red carpet — in an outlandish Alexander McQueen suit that resembled an abstract painting, paired with white sneakers. Chalamet was nominated for Best Supporting Actor for his “Beautiful Boy” role but missed out to Mahershala Ali, who won for his “Green Book” performance. Saoirse Ronan, star of “Mary Queen of Scots,” wore a glittering, plunging Gucci gown made of delicate silver thread to the Golden Globes. The Irish actress is known for her quirky style, both on and off the red carpet. Ronan’s next film project is “Ammonite” alongside Kate Winslet, which reportedly tells the story of a fictitious relationship between the famous fossil hunter Mary Anning and another woman. All eyes were on Cardi B at the Grammy Awards, as the rapper pulled off vintage Theirry Mugler (Look 130 from Fall ’95, according to Vogue), a blush satin sheath skirt that started at the floor and fanned out at the waist into a petal shape. It was a big night for Cardi — she was up for seven awards and walked away with Best Rap Album for “Invasion of Privacy,” making history as the first solo female artist to win the award. Cardi was photographed at the Grammys with her husband, rapper Offset, suggesting the couple is trying to patch things up after they split in December 2018 following reports that Offset was unfaithful. Actress and model Molly Sims wore a crystal-encrusted sheer dress over a black bodysuit to the InStyle and Warner Bros. Golden Globes after-party. Sims completed the look with ankle-strap sandals and dramatic diamond drop earrings. Sims was out supporting husband Scott Stuber, an executive at Netflix who leads the feature film department, during the 2019 awards season; the Netflix movie “Roma” was nominated for awards in several categories. It won Foreign Language Film and Director of a Motion Picture at the Golden Globes; Best Director, Best Foreign Language Film and Best Cinematography at the Oscars; and it also bagged four Critics’ Choice awards, including Best Picture and Best Director. 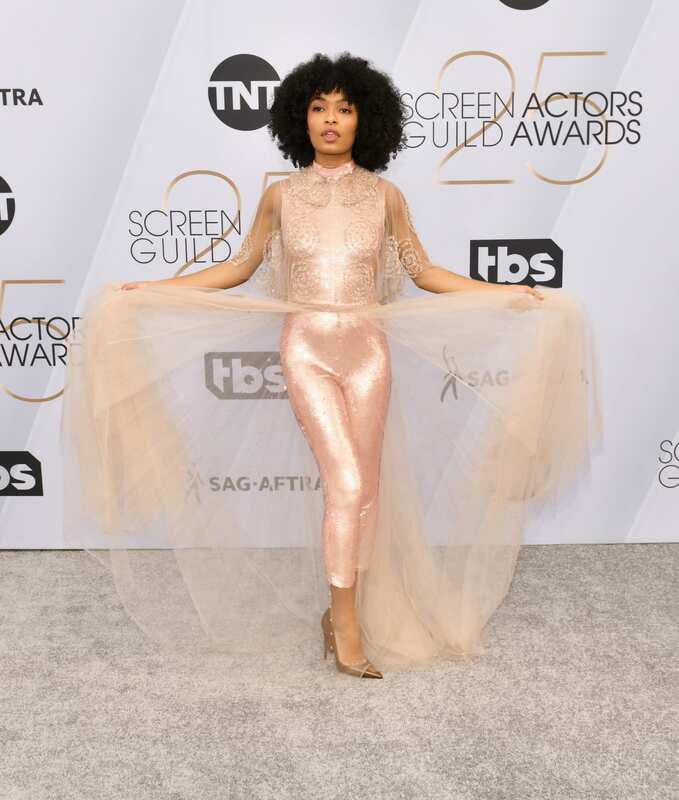 Actress, activist and model Yara Shahidi, who starred as Zoey Johnson on the sitcom “Black-ish” and its spin-off series “Grown-ish,” made an impact on the SAG Awards red carpet in a pink sequin catsuit with a mesh skirt by Fendi Couture, Cartier jewelry and Christian Louboutin shoes. 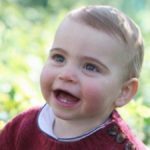 The young star, whose look also featured a matching tulle overlay with intricate embroidery, a Peter Pan collar and floating sleeves, was an ambassador for the 25th anniversary of the SAG Awards, together with Harry Shum Jr., which meant they provided behind-the-scenes glimpses of the main event and pre-show happenings via social media. Lady Gaga dazzled on the Golden Globes red carpet in custom Valentino Couture with Tiffany & Co. jewelry. 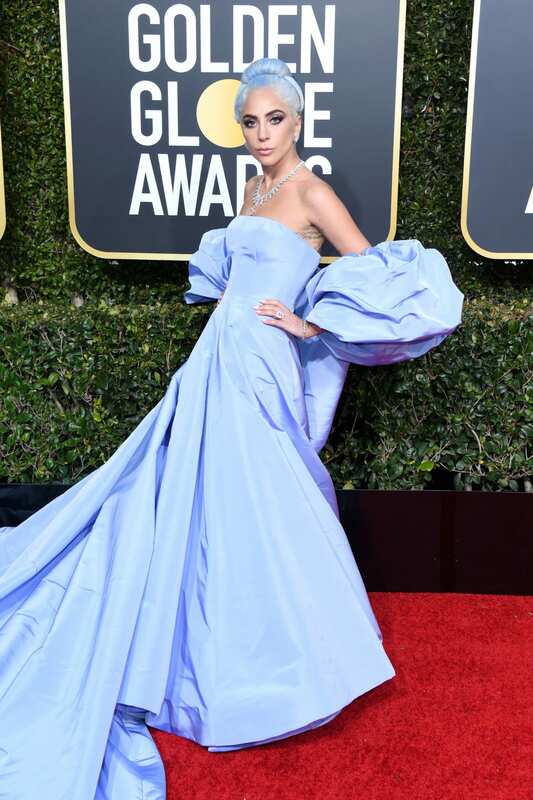 The stunning off-the-shoulder lilac dress required two people to carry the train behind her, and it was a nod to her role in “A Star Is Born,” as it resembled the dress worn by Judy Garland wore in the 1954 version of the film. Gaga didn’t win a Golden Globe for her role in the film, but she did win Best Original Song for “Shallow,” the duet with Bradley Cooper that features in the film. It’s not a dress, it’s not pants — it’s both. Julia Roberts reminded us that pants can be just as chic as a dress on the red carpet — especially when worn together. For the Golden Globes, the actress paired her Stella McCartney design with Alexandre Birman heels and Chopard jewels. Singer and actress Janelle Monáe is one of the most innovative red carpet dressers — and she didn’t disappoint at the 2019 Golden Globes. She wore an outfit from Chanel’s 2019 Metiers d’Art collection consisting of a black and gold tweed Chanel dress with a bedazzled collar, over a white floor-length knit dress. The “Welcome to Marwen” star completed the look with a gold leather hat and Le Silla shoes. Weisz welcomed her first child with husband Daniel Craig, who was also at the Golden Globes, in September 2018. Nicole Kidman wore a tight-fitting, sequined, maroon Michael Kors Collection column gown, a Jennifer Behr velvet hair bow and Christian Louboutin shoes to the Golden Globes. Of course, no red carpet outfit is complete without a disco ball clutch. Lupita Nyong’o attended the SAG Awards in custom Vera Wang Collection (an off-the-shoulder structured jacket and a sheer, sparkly skirt), Roger Vivier shoes, chandelier earrings by Messika and a Judith Leiber clutch. Nyong’o starred in “Black Panther,” which scooped two SAG Awards: Outstanding Performance by a Cast and Outstanding Action Performance by a Stunt Ensemble. Her next release is the dark comedy “Little Monsters,” in which she plays a kindergarten teacher protecting her students from a zombie outbreak. At the Critics’ Choice Awards, Julia Roberts proved (again) that she is the queen of the pants/dress combo. This time around, she wore a black Louis Vuitton tuxedo gown, lined with embellished etchings, with white tailored trousers. Every last detail was perfect, from her diamond choker to her black French tip nails by Mazz Hanna. The result was quite a different look than her Golden Globes Stella McCartney ensemble, but equally stylish — and possibly the most comfortable outfit of the evening. SAG Awards nominee Alison Brie, who was in the running for Female Actor in a Comedy Series for her role in “GLOW,” was compared to a “beautiful goth butterfly” on the red carpet. Brie wore a black Miu Miu dress featuring an enormous embellished bow on the back, which took some effort to get into. The actress revealed that it was a “four-person process” to dress her. Luckily, the huge bow was removable, in case she decided to take off her wings before she took her seat for the ceremony. It hasn’t taken long for actress Lucy Boynton to establish herself as a next-level awards show dresser. The “Bohemian Rhapsody” star looked amazing in Erdem at the SAG Awards, where she walked the red carpet solo but looked cozy with her boyfriend and co-star Rami Malek during the ceremony. Boynton’s multicolored gown had a sheer polka dot overlay and was complemented by Harry Winston jewels and a black velvet hair bow. 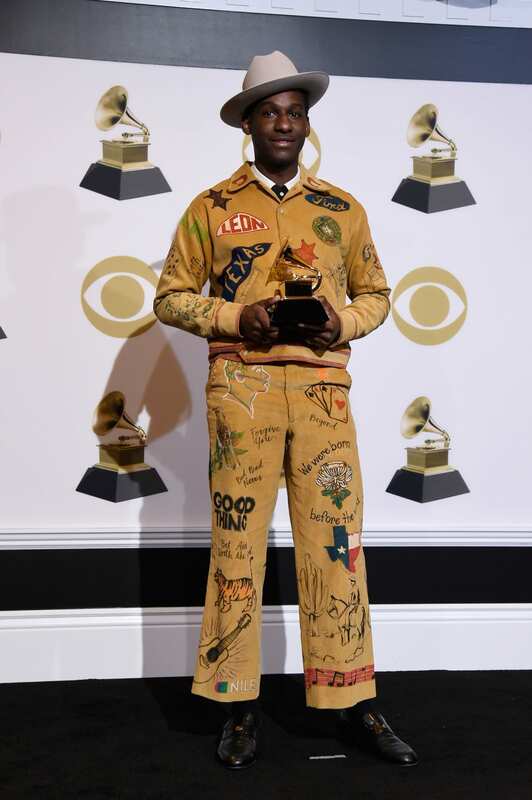 Singer, songwriter and producer Leon Bridges won the Grammy Award for Traditional R&B Performance for “Bet Ain’t Worth the Hand,” but he also deserves an award for his eye-catching red carpet outfit. 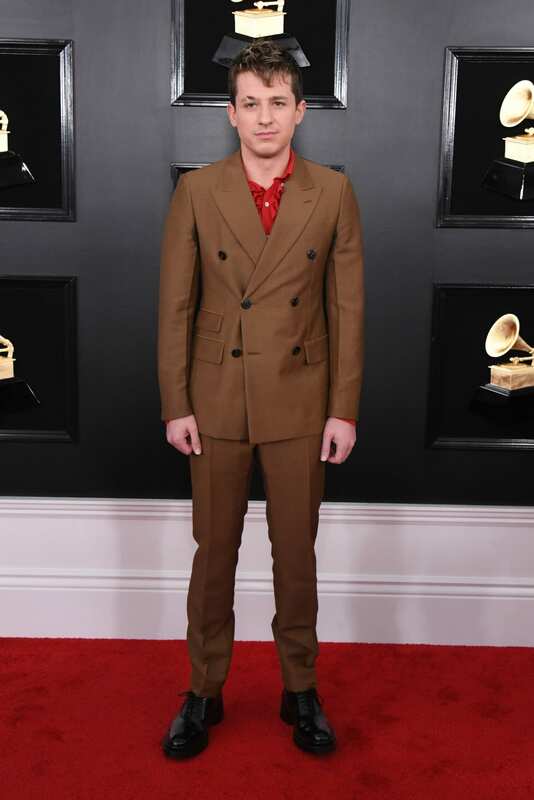 The artist’s mustard-colored custom corduroy Bode suit was covered in drawings paying tribute to his home state of Texas, as well as his own music. Bridges is a long-time fan of designer and CFDA/Vogue Fashion Fund winner Emily Bode, whose aesthetic brings a current, handcrafted touch to antique fabrics. Annie Clark, who uses the name St. Vincent professionally, wore Giambattista Valli Couture and Giuseppe Zanotti shoes on the Grammys red carpet, kicking off the evening in style before picking up the Best Rock Song award for “Masseduction.” During the ceremony, she performed a medley with Dua Lipa that included a rendition of “Respect” by Aretha Franklin. In response to winning the Grammy award, St. Vincent shared a new video for “Masseduction” that includes a clip of her singing while a nuclear bomb explodes in the background. Kate Beckinsale lived up to her reputation for head-turning red carpet looks at the InStyle and Warner Bros. Golden Globes after-party. The “Underworld” actress wore a strapless, ruffled, see-through white Aadnevik gown with a structured bodice and diamond chandelier Anita Ko earrings. Beckinsale has been romantically linked to comedian and “Saturday Night Live” cast member Pete Davidson recently and the pair were reportedly spotted getting close at the InStyle bash. Beckinsale is currently filming Amazon TV thriller “The Widow,” which is about a woman who has cut herself off from her previous life. Another star known for her sartorial eccentricity is Katy Perry, who wore a strapless pink Balmain dress with a voluminous skirt and Malone Souliers shoes to the Grammy Awards. Perry wasn’t nominated this time but performed during the broadcast as part of the Dolly Parton tribute along with Little Big Town, Maren Morris and Kacey Musgraves. Lady Gaga’s Critics’ Choice Awards outfit might not look particularly daring, but it was a departure for the artist, who is known for her controversial red carpet choices (nobody will ever forget the “meat dress” she wore to the 2010 MTV VMAs). 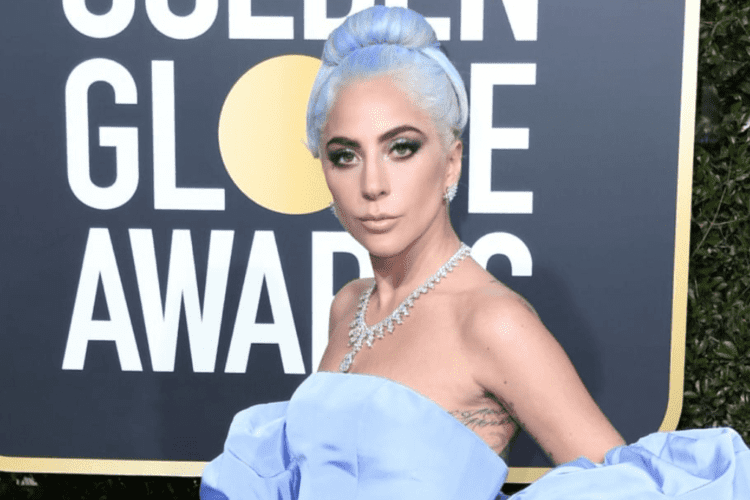 This time, Gaga’s style statement was one of old Hollywood glamor; she wore a bespoke Calvin Klein by Appointment gown, Djula earrings and Giuseppe Zanotti heels. Gaga picked up two SAG awards for “A Star Is Born”: Best Song for “Shallow” and a joint win of Best Actress with “The Wife” star Glenn Close. Hennessy Carolina showed that daring style runs in the family. Cardi B’s sister wore an orange blazer-style Kaimin dress with seriously huge puffy sleeves and a very short hemline. She completed the look with holographic crocodile skin pumps and Christian Louboutin shoes. Fashion student Hennessy Carolina regularly appeared with Cardi B (who refers to her sister as her “rock” on the reality TV series “Love & Hip Hop: New York”) and walked the “Thriller” themed runway for Philipp Plein during Milan Fashion Week in September 2018. Janelle Monáe slayed the red carpet yet again at the Grammy Awards, wearing a short, sculptured Jean Paul Gaultier dress with velvet detailing, a deep v-neck and high pointed shoulders that reached her ears. She completed the look with Tiffany & Co. jewelry. Monáe, who was nominated for Album of the Year for “Dirty Computer,” performed her hit single “Make Me Feel” in a different outfit — a black and white collared latex bodysuit with high-pointed shoulders, and a red tie and fishnet stockings. The “We Don’t Talk Anymore” hitmaker recently walked the runaway for controversial designer Philipp Plein wearing an altogether more casual look: a long camouflage jacket, neon green pants, a grey sweatshirt and white sneakers. On Valentine’s Day, Puth, who is lined up to be Adam Levine’s “battle advisor” on “The Voice,” revealed that he is dating up-and-coming singer Charlotte Lawrence. Ashlee Simpson and Evan Ross made a stylish couple at the Grammys. Ross wore a red velvet Amiri blazer accessorized with silver necklaces, while Simpson donned a sheer, sequined, feathered Georges Chakra jumpsuit and Lorraine Schwartz jewels. The couple, who have just wrapped up their first 10-day mini-tour across the U.S., were at the Grammys to support Ross’ mother, Diana, who was celebrating her 75th birthday with a special performance. 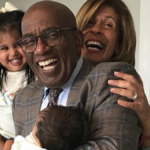 They’ve been married since 2014 and have a 3-year-old daughter, Jagger. TV host and hip-hop artist Sibley Scoles looked like a gothic mermaid on the Golden Globes red carpet in a long-sleeved black mermaid gown with an entirely see-through mesh insert down one side. Scoles accessorized her look with statement hooped mixed-metal earrings, a black clutch, gold strappy sandals and silver hair in her signature crop. The E! and Vanity Fair correspondent may be accustomed to interviewing celebrities, but she certainly doesn’t look out of place rubbing shoulders with the A-listers. Halle Berry’s “naked” burgundy Golden Globes dress was made up of several sheer polka-dot panels. The Zuhair Murad design also featured a plunging neckline, asymmetrical waist detailing and thigh-high split. 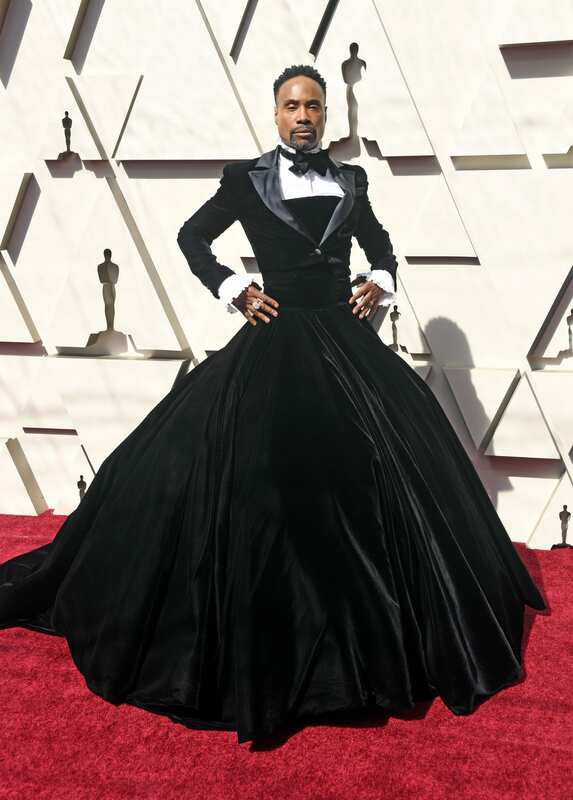 The veteran actor and singer made waves on the Oscars red carpet in his custom tuxedo-dress. Porter stars in “Pose,” from the creators of “Glee,” which is set to return to FX for a second season this year.